Experience ultra fast 4G Mobile WiFi with the TP Link M7300 and get a free C5L smartphone!! Get this killer deal while stocks last! The M7300 supports the latest generation 4G LTE networks, providing convenient carry-on Wi-Fi that can reach speeds of up to 150Mbps. Now you can enjoy lag-free HD video, fast file downloads, and stable video chats regardless of where life takes. This compact device works seamlessly with an impressive range of wireless gadgets. 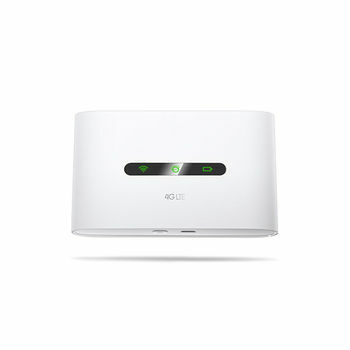 The M7300 can easily share a 4G/3G connection with up to 10 wireless devices like tablets, laptops, and mobile phones at the same time. It can also provide internet access for desktop computers via the integrated USB port. With its powerful 2000mAh battery, the M7300 can provide up to 10+ hours of wireless connectivity, making it the perfect companion for travel, business trips, outdoor activities, and more. M7300 features a compact and user-friendly design, all you need is to insert a SIM card and press the power button. Your high-speed 4G hotspot will be operational within a half minute. With the tpMiFi App, you can easily access and manage the M7300 from your connected iOS/Android devices. The tpMiFi app allows you to establish data limits, control which devices can access your Wi-Fi, send messages, and share media files to/from a removable Micro SD card.